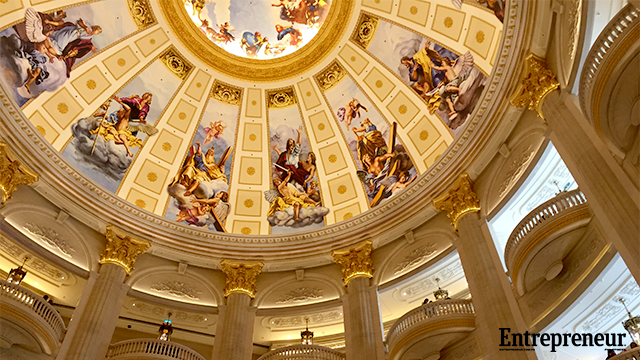 MACAU—The City of Lights has always been part of most travelers’ bucket list destinations. After all, Paris is home to some of the world’s most admired works of art, premium designer brands and of course, the iconic Eiffel Tower. Still, not everyone can afford to pack his or her bags and leave for a trip to this much-loved (if not the most loved) city in the world. Enter Sands China Ltd. 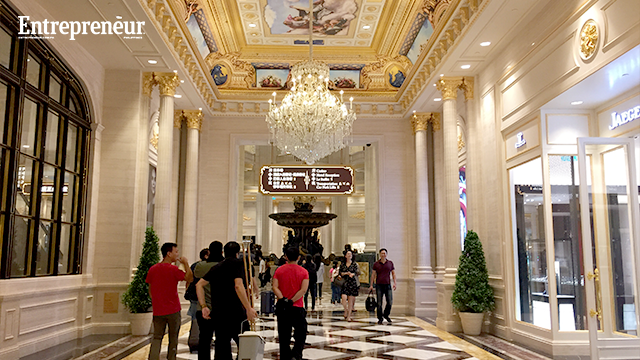 Following the success of its first themed megaresort, The Venetian, the company has recently introduced a new themed destination to its stellar resort portfolio in Macau – The Parisian. 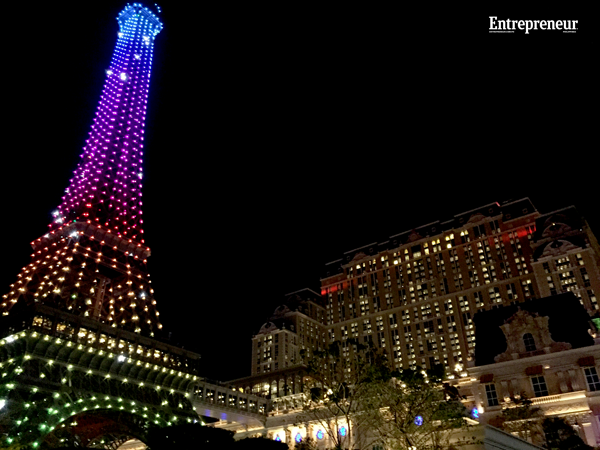 The French-themed gaming and lifestyle destination features a replica of the iconic Eiffel Tower, half the size of the real one. Its 3,000-hotel room capacity brings the Sands China Ltd.’s total to 13,000. While the resort mostly caters to Chinese from the mainland, it also expects some visitors from neighboring countries including Hong Kong, South Korea and Japan. The Filipino market mostly veers to the family-friendly brands of Sands, like Conrad and Sheraton Hotels. Keeping true to its promise of being more than just a gaming hub, The Parisian boasts 5,200 square meters worth of meeting space with a ballroom that can house more than 2,500 guests. “There’s a lot for everyone here. It’s not always about the games. There’s a lot of shopping choices, and there are also spots for families,” Campbell added. The Parisian is home to more than 170 brands, a little more varied than those in the Venetian, which usually caters to lifestyle retail stores. For Campbell, the French-themed resorts’ stores are a little more “off-beat” and perfect for those looking for retail therapy, as they offer at least 15 to 30 percent cheaper goods than those in mainland China. “Some brands have their flagship stores while others set up their first ever outlets in Macau here [in The Parisian],” Campbell said. But more than its amenities, The Parisian’s intricate and honest portrayal of the French capital’s design sensibilities—from its streets to its palaces— can already keep guests flocking. It took four years for the project’s senior architect Charles Lee to create The Parisian’s blueprint, with more than 50 people in his team. The hotel’s grand entrance alone is a nod to one of the most famous and largest train stations in Paris, Gard du Nord, as even the monumental fountains of Concorde were recreated for the hotel’s lobby. Fittingly, the famous shopping streets of Paris were redefined in the different shopping floors of the hotel, from Saint-Honoré to Avenue des Champs-Élysées. But not to be forgotten is the hotel’s Versailles-inspired pool deck, patterned from Marie Antoinette’s tower in the palace. The US$ 2.7 billion-resort opened amid the struggling gaming industry of Macau. It has suffered from a 26-month-long revenue slump until it experienced a 1.1 percent spike in August. “We never wavered in our development plans or our desire to serve as a model for the type of development which would help diversify Macau’s economy through the introduction and growth of important non-gaming destinations,” Las Vegas Sands Corp. chairman and CEO Sheldon Adelson said in a statement.